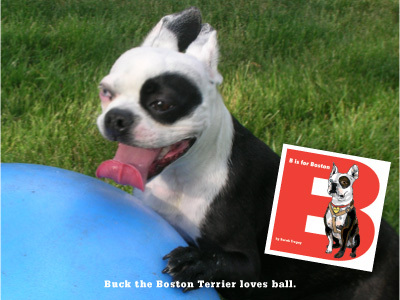 "...I have a toddler (almost 2 years old) who loves our Boston more than life itself... He LOVES this book. I have it memorized. He gets so excited reading it that he barks." 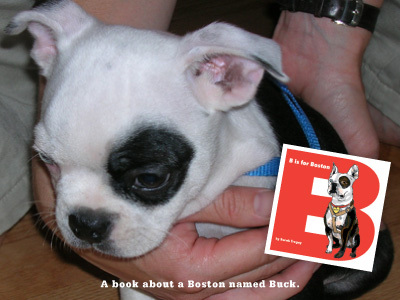 "We love the drawings, and the dipictions of Buck the Boston as he goes about his day are Spot on, lol.."
"I have a Boston and buy all the Boston storybooks for children I can find. This is a good one!" 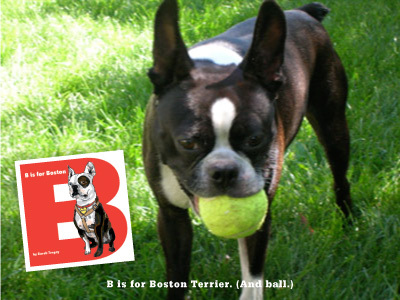 Follow Buck, a Boston Terrier, as he does his favorite activities—from playing ball to walking around the block. This picture book for the very young introduces children to dogs with large, bright illustrations, and encourages reading. 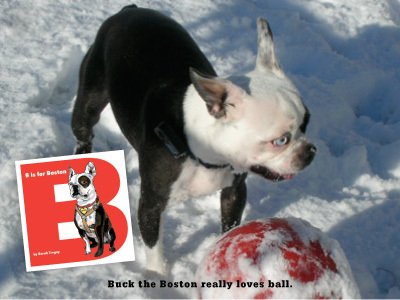 For Boston lovers and fans of Michael Muller's Mirabelle Goes for a Walk and Mirabelle and the Bouncy Red Ball, and readers like Ellie. Thank you, fuzzball, for sharing your video.